The AR-15 weapon platform has been so successful for so long due to its modularity and adaptability. It can be and is modified in a variety of configurations for a variety of applications. Even during my brief service in the military, I was issued the weapon in various configurations: from a 20" M16A2 during basic training to a 10.3" Mk 18 Mod 0 in my final unit. As applications and mission specific requirements changed, so did aspects of the weapon. One of the most dramatic alterations that can be made to the M16/AR-15 weapon platform is that of a "pistol" format. Online forums and other media formats are filled with information (and opinions) on this variation of the AR-15, and it seems many individuals consider the AR-15 pistol to be impractical or worse. In this blog post, I would like to briefly describe the AR pistol format, and then offer 2 applications in which it may be useful and worthy of consideration for adding to your armory. Most AR-15 pistols will have a barrel length between 7-11.5 inches. Like a short barreled rifle, modifications to gas port size are required to ensure reliable operation. Typically, the AR pistol handguard consists of a smooth or railed free float tube that is obviously quite short in length (unless extending over the gas block). Some models are configured with a standard front sight base, but due to the extremely short sight radius inherent in this design, most current AR pistols will have some other form of gas block and flip up front and rear sights or no sights at all. In either situation, the AR-15 pistol can be more enjoyable and practical when a red-dot or holographic weapon optical sight is installed. The AR-15 pistol is unique among pistols in its appearance and operation. The standard AR gas impingement operating system necessitates a buffer and spring inside a buffer tube, and this is a detraction for some who might consider purchasing and using the weapon. 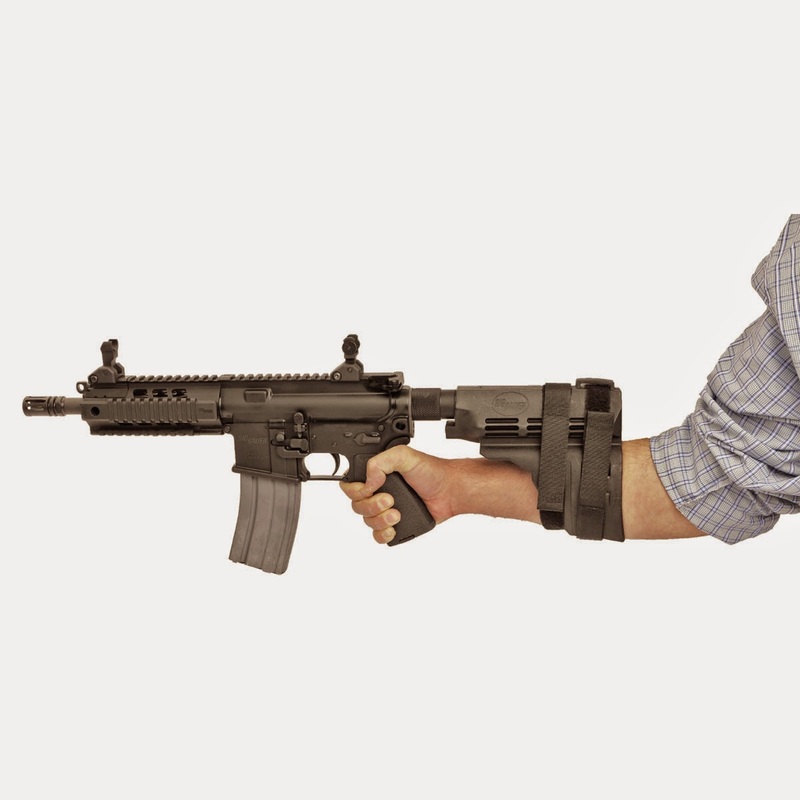 While it does increase the size of the weapon, the buffer tube can provide needed stability when braced against the forearm during use and the recent development of aftermarket parts like the Sig Sauer SB15 stabilizing arm brace turns this possible detraction into a potential benefit. Other manufacturers have chosen to use a piston operating system in their AR pistols eliminating the necessity of a buffer tube, buffer, and buffer spring completely. An individual may read or hear many statements regarding the impracticality and even pointlessness of an AR-15 pistol. I understand and agree with some of the arguments, but here are 2 reasons FOR purchasing and using an AR pistol: I will define them as tactical and practical. Tactical: While this word is routinely overused and often misapplied, the AR-15 pistol can be tactically useful in some combat applications like vehicular operations. In the tight confines of a vehicle, carbines and even SBRs can be unwieldy and awkward. Yes, typical handguns can suffice, but few types of handgun ammunition can penetrate other barriers (vehicles, etc...) in the same manner as does a rifle round. And yes, an SBR would be better yet-especially if the operation moves from inside to outside a vehicle; however, it is usually easier for civilians and even many law enforcement personnel to acquire an AR pistol than it is for them to acquire an SBR. This specific but real and experientially proven application offers support for the benefit of the AR-15 pistol. Practical: One word-FUN. AR pistols are FUN to shoot. To segue from the previous argument for their benefit-it's both OK and practical to own a weapon in America simply because it provides enjoyment. Let's not get so caught up in "tactical" that we forget that "sport" is a practical, valid, and legal reason for owning and using a firearm. Del-Ton, Inc. is committed to offering AR-15 rifles and accessories in an environment where quality meets value. We are working hard to increase our product line to include AR-15 pistol configurations and pistol parts in the near future. Thanks for reading our blog. If you have any questions about the AR-15 rifles we manufacture or the AR-15 platform parts we offer at www.del-ton.com, please feel free to contact us. One word-FUN. AR pistols are FUN to shoot. To segue from the previous argument for their buffet near me chinese benefit-it's both OK and practical to own a weapon in America simply. This is an awesome design. It is also a light weight weapon to be used. People are writing legit essay writing service 2018 to get more weapon ideas to make from their personal 3D printers. This design can be very handy for outdoor hunters as well. This pistol is one of the best weapon to be used for the purpose of getting better aim at the distance shooting. There are many armies writemyaustralia that are using this weapon in the wars. An AR-15 style rifle is a lightweight quick firing rifle in view of the Colt AR-15 outline. After Colt's licenses lapsed in 1977, someone was selling this illegally when we were enjoying our Orange milkshake in an extended commercial center.